This is one of my favorite days of the year. 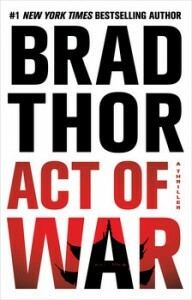 It is the book birthday for Brad Thor’s newest thriller ACT OF WAR and I could not be more excited! I was lucky enough to receive an advance copy of the book for review, but I was still thrilled to wake up this morning and see my own copy in my Nook App. #1 New York Times bestselling author Brad Thor delivers his most frightening and pulse-pounding thriller ever! After a CIA agent mysteriously dies overseas, his top asset surfaces with a startling and terrifying claim. There’s just one problem — no one knows if she can be trusted. With the United States facing an imminent and devastating attack, America’s new president must turn to covert counterterrorism operative Scot Harvath to help carry out two of the most dangerous operations in the country’s history. Code-named “Gold Dust” and “Blackbird,” they are shrouded in absolute secrecy as either of them, if discovered, will constitute an act of war. 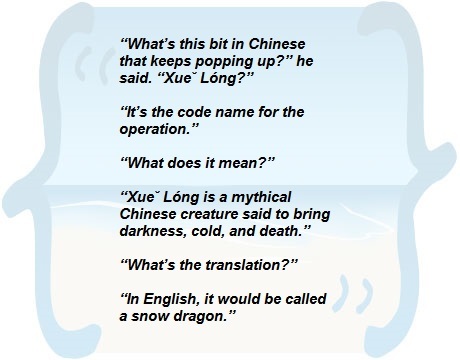 One of the things that I find so thrilling about Thor’s novels is that the scenarios he describes and technology used by his characters often show up in the real news over the next 12-18 months. So you know he’s done his research thoroughly and crafted a story that, while it is fiction, feels completely real when you are reading it. And that adds an unbelievable edge to the reading experience. In ACT OF WAR, Scot Harvath is faced with a new threat that no one sees coming until it is almost too late. Thankfully, an asset was willing to speak up and warn the United States about what was being planned against us. That sets things in motion as Scot must now race against time and fight some serious foes to save the U.S. from catastrophic destruction. ACT OF WAR has a different (but great!) feeling to it than the last two Harvath novels and Thor has entered into new territory, veering away from Al Qaeda as the ultimate bad guy and making us consider something or someone far more sinister. For those of you who have never read a Brad Thor novel, you can easily read ACT OF WAR as a stand-alone book and understand everything that is happening. But at some point, I highly recommend that you go back to the beginning of the series and read them all, I think you’ll love them!